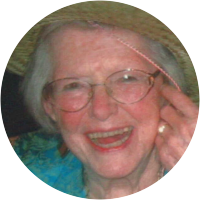 A collection of the best Mary Pettibone Poole quotations. The next best thing to being clever is being able to quote some one who is. A bore is a person not interested in you. Charm is the ability to make others feel attractive. Experience is what you get looking for something else. Tact is the ability to describe people as they see themselves. Many people who imagine they are live wires are only shocking. It's all right to drink like a fish - if you drink what a fish drinks. A pessimist is a person who has not had enough experience to be a cynic. Some people confuse having a lot of money with being worth a lot of money. There are no old people nowadays; they are either 'wonderful for their age' or dead. To repeat what others have said requires education, to challenge it, requires brains. People who think money can do anything may very well be suspected of doing anything for money.